We can give you 3 excellent reasons why investing in a TCoE is the best thing that can happen to your business. But first things first – what does an error in your product or software cost you? In your race to get to market first, are the number of errors increasing? 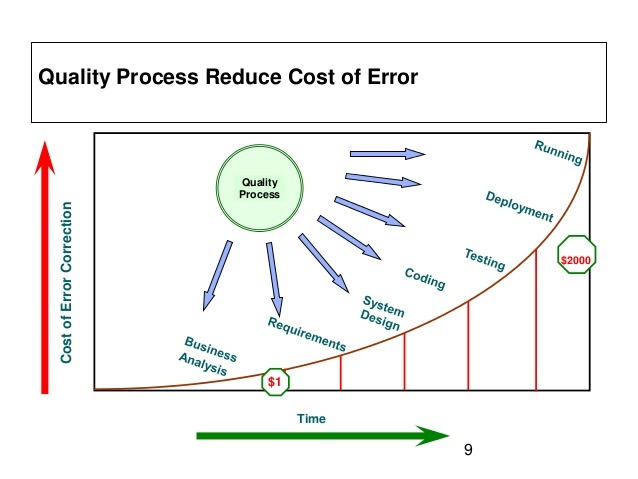 The above graph well illustrates how the cost for error correction increases as the lifecycle of a software development progresses. What costs maybe a dollar to correct at the business analysis phase, escalates to nearly $2000 by the time you deploy the software. Testing does check for, and remove, most of the errors. 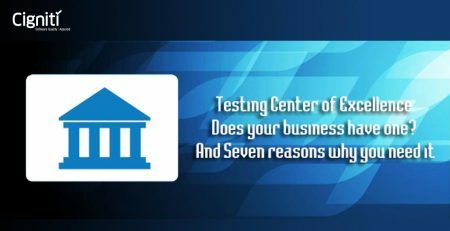 But traditional testing is just not enough – you need a centralized testing center or a Testing Center of Excellence (TCoE). Here are three reasons why. In a traditional QA method, a centralized testing framework does not exist. This means you will have your testing team reporting to individuals in the development team or the project manager. No offense, but they do tend to be biased and your testing results might just be a tad bit glorified. While this may get in quick products, quality just might be compromised. With a TCoE though, all testing functions are brought under one roof with everybody working towards a common goal. Such a setup will ensure more transparency and better alignment to the goals of the organization. With good strategy and execution you will be able to detect any glitches in your software early, so you can get it sorted quickly. Investing in TCoE also gives you the benefit of a metric based tracking system that keeps track of the effectiveness of your tests and the ROI you get from your testing. A TCoE also helps you keep abreast with what’s new in technology and methodologies, giving you an upper hand in the market. Investing in a TCoE may seem like an expensive affair but consider: the Cost of error! Think of all the expense on patches and bug fixes that may be needed if glitches are detected only after product release! That is discounting all the bad reputation it will bring. Now you end up spending more and getting a reduced ROI trying to fix the defect in your product, which could have been avoided if you invest in a good TCoE that focuses on quality (refer first point!) There are other cost benefits too – like better resource utilization, centralized testing resource, test automation, and reusability of test cases. 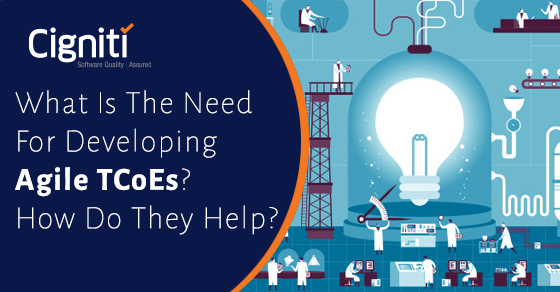 Another major benefit of investing in a TCoE is that you can drastically reduce your testing cycle time with the help of test automation frameworks and accelerators. Organizations that have invested in TCoE have reduced their testing time by 30%! Where in traditional QA methods, testing has to be on hold till the final stages of development is completed, in a TCoE the testing can start alongside the development process which makes a big difference in finding and solving defects/errors as quickly as possible. Convinced of the need to have a TCoE? 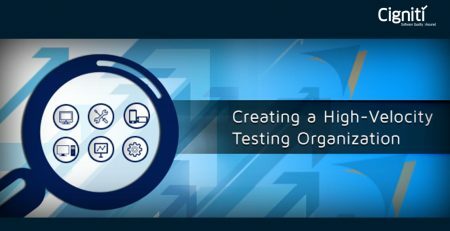 You can set up your own center but partnering with a good independent software testing provider will be an efficient and cost effective investment to build a TCoE. Call us at Cigniti and see how this can work best for your company.